Greetings friends – for those of you borrowing equipment, you will have to wait until Tuesday. 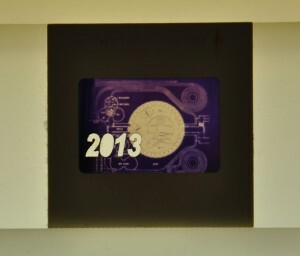 The Visual Resources Collection will be open Tuesday, Wednesday and Thursday – December 20, 21, and 22. Then we will be closed until January 3rd 2012. 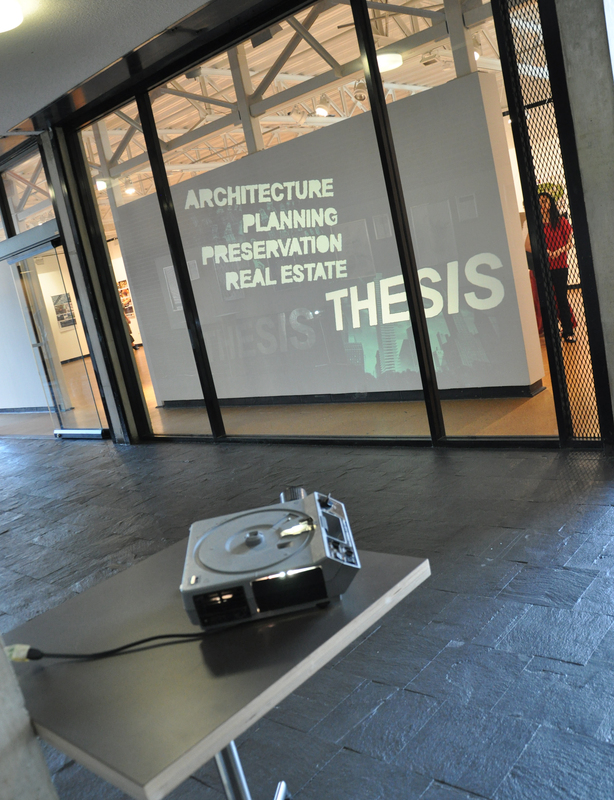 For those of you still wondering what to do with slides, Here is an idea: Screens or art. Hello! Just a reminder that the light sets are available to borrow for model photography both today -Thursday, and tomorrow as well as next week. If you want to use the copystand to photograph delicate drawings, please make an appointment between 9:30 and 4PM weekdays. Clear Acetate Sleeves are available for check out in the VRC. 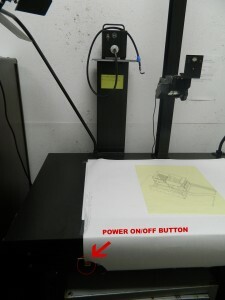 These sleeves may be used to protect drawings from smudges while scanning, or to easily scan drawings on trace. Place your drawing inside the plastic sheet. 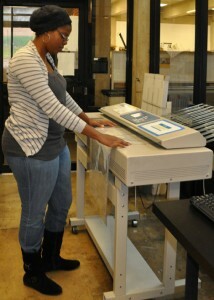 The copy stand in the VRC makes photographing drawings or smaller models an easy process. 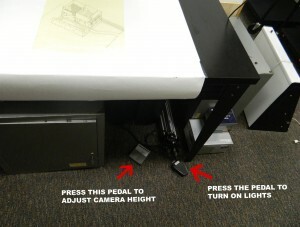 A camera can be connected to an adjustable stand and lights are already set up. 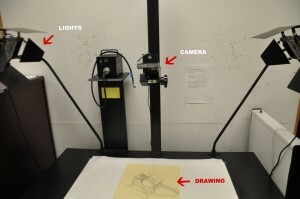 This should be used if your drawing is too delicate or unwieldy to go through the scanner in the DOC. At the moment, it must be used between the hours of 9:30 and 4, Monday through Friday. Pedals used to turn lights on, and raise and lower camera arm. 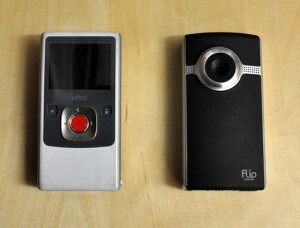 The Flip Video (2.2 x 1.2 x 4.2 inches) records up to 120 minutes of video. It uses two AA batteries and is simple to operate with a power button on the side and a red record button in the center. The Canon Vixia HFM40 camcorder records video on a 8GB memory card. Files can be downloaded onto a computer in a M4V format. 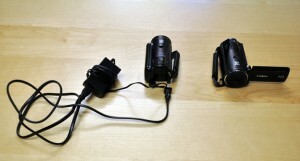 The camera can run on rechargeable batteries for 125 minutes, or can be connected to an outlet with a power adapter. The camera has audio capability and features 1080p HD recording. 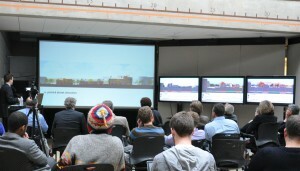 A tripod and external microphone can be used when necessary. Several tripods are available in the VRC to help with stabilizing a camera or camcorder. The tripods are adjustable and collapsible. The Visual Resources Collection in room 1107 has all kinds of equipment that students may borrow. You must sign out the equipment and then return it, either within a few hours or overnight. 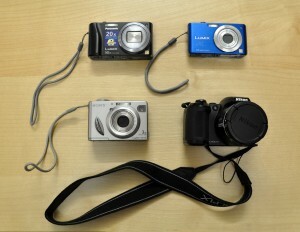 Clockwise from top left: The 14.1 mega pixel black Panasonic Lumix ZS8 has 16x optical zoom, an 8gb memory card, and operates on a rechargeable battery. The 12.1 mega pixel blue Panasonic Lumix FS15 has 5x optical zoom, a 4gb memory card, and operates on a rechargeable battery. The 14.1 mega pixel Nikon Coolpix L120 has 21x optical zoom, an 8gb memory card, video recording, and operates with two AA batteries. The 5.1 mega pixel Sony Cyber-Shot has 3x optical zoom, a 256mb memory card, and operates with two AA batteries. All cameras have a cable to download images via USB to your computer. 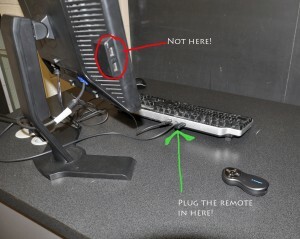 The VRC also has memory card readers to borrow as well.